is that what you call someone with purple hair? lavenders? there’s gotta be something out there that already “titles” it! i’ve been wanting to try out the whole “chick pea/garbanzo bean” in baked goods thang. i bring you…. an oooey-super-duper-gooey chocolate (grain free!) blondie. yeah, you read that. these are gluten free 100%. you get the point, they’re A-OKAY on the waist line! anywho! game time. you ready?!?!? 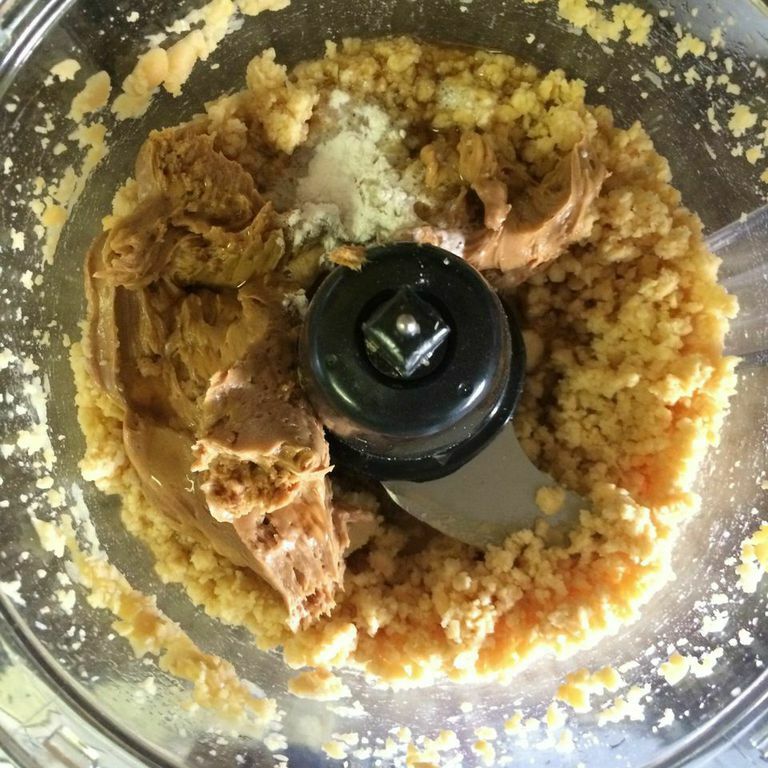 step 2: put beans in food processor and blend until they’re chopped up, then add in peanut butter, syrup, vanilla extract and baking powder. then process/blend until it turns to a cookie dough/cake consistency. super creamy!! step 3: with a spatula, transfer dough to a mixing bowl, then fold in chocolate chips! step 5: spray an 8×8 pan, then pour batter in and spread out evenly. step 6: pop in oven for 25-30 minutes, at 25 minute mark, stick a knife into center of blondies and if it comes out clean, they’re done! slice into 12 squares, and…. then take lots of photos because the chocolate will literally be POURING out of each slice and totally #foodporn worthy!!! i mean really, look at these beauties?! am i the only one that truly appreciates a good lookin’ piece of blondie?! serving size is one, but two may just be necessary when pulled right out of the oven. i mean… i gotta make sure they DO indeed taste good before sharing there recipe?! that’s my excuse and i’m stickin’ to it!